Ethan Gold was is destined to create good music. He is responsible for producing and providing most of the instrumentals to the Ash Wednesday album from Elvis Perkins in Dearland. And now he is actually releasing his debut album that originally started out as a "rock opera" that he condensed down to an actual 12 track LP entitled Songs From A Toxic Apartment. The first single from the album is "Poison" which is accompanied by a very stylistic video that you can check out below. Keep a lookout for this album which drops later this month. 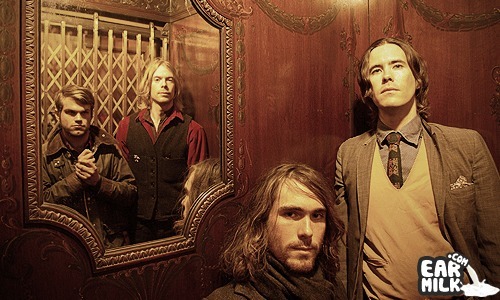 Elvis Perkins In Dearland – "Chains, Chains, Chains"